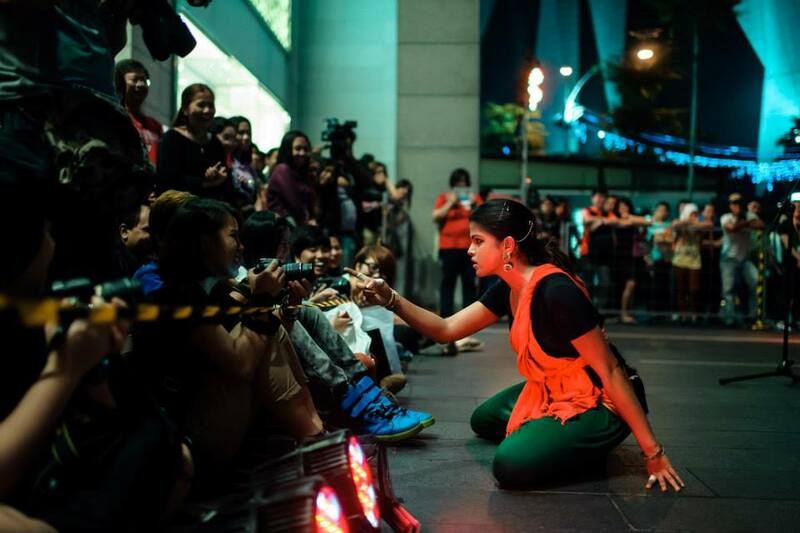 My Name is Cine-Maa Performance at the Kakiseni Festival, Kuala Lumpur, Malaysia. Pooja Devariya is an international performing film and theatre artist, shuttling between Los Angeles, Chennai, Bengaluru and Mumbai. Watch the official trailer of #Ayogya which is set to release on May 10th, 2019. VellaiPookal is a tamil feature starring Padmashri Vivekh, Charlie and Pooja Devariya. The film released worldwide on 19 April 2019 to positive reviews from both critics and audiences around the globe. Catch VellaiPookal in a theatre near you! Watch Pooja's Latest Kannada Feature on Amazon Prime Video! Pooja’s latest Kannada feature, ‘Katheyondu Shuruvagide’ which got a lot of praises from both critics and audiences will be streaming on Amazon Prime Video from November 1st! The movie has been subtitled in English for the convenience of our audiences worldwide. Pooja receives the ‘Inspiring Woman Icon’ award for the year 2017. Pooja thanks her mentors, teachers and every other learning space she has been in for enabling her to be where she is today. Listen to her speak about gender and empowerment. Just a random jam session with some buddies. Watch Pooja’s inspiring acceptance speech at Behindwoods Gold Medal Awards 2017. Pooja decodes her roles on stage and tells the audience why she is particular about the roles she chooses. Pooja wins the hearts of Malaysians with her acceptance speech at the 10th Edison Awards. Watch how lucky Malaysia has been for Pooja.